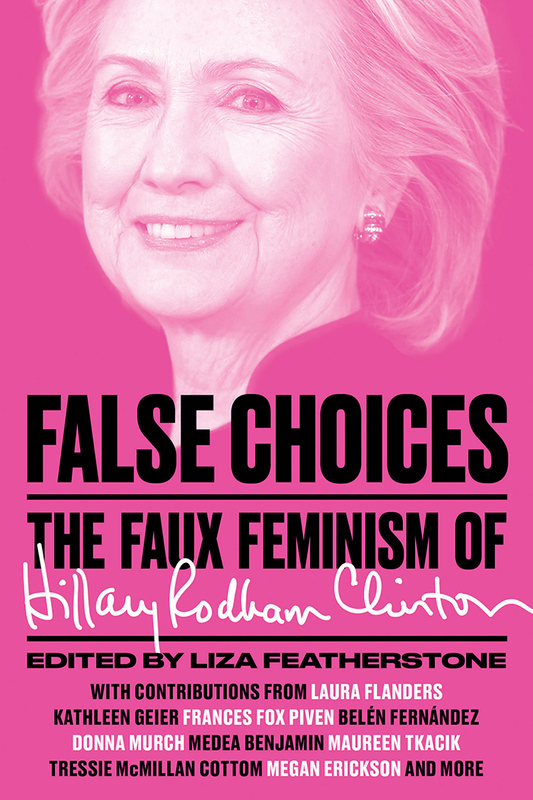 In the lead-up to International Women's Day on March 8th, we present an excerpt from False Choices: The Faux Feminism of Hillary Clinton. We thought the easiest way to prevent harming women, children and other living things in Iraq was to stop a war of aggression, a war over weapons of mass destruction that UN inspectors on the ground couldn’t find — which were, in fact, never found because they didn’t exist. Clinton, however, was steadfast in her commitment to war: She said it was our responsibility to disarm Saddam Hussein and even defended George W. Bush’s unilateralism, citing her husband’s go-it-alone intervention in Kosovo. But that’s just what she did, by supporting the Iraq war, draining our nation of over a trillion dollars that could have been used for supporting women and children here at home, which could have instead been rerouted to the social programs that have been systematically defunded over the last few decades of Clinton’s own political career, and ultimately snuffing out the lives of thousands of US soldiers — for absolutely no just cause. If Clinton supported the Iraq war because she thought it politically expedient, she came to regret her stance when the war turned sour and Senator Barack Obama surged forward as the candidate opposed to that war. But Clinton didn’t learn the main lesson from Iraq — to seek non- violent ways to solve conflicts. Indeed, when the Arab Spring came to Libya in 2010, Clinton was the Obama administration’s most forceful advocate for toppling Muammar Gaddafi. She even out-hawked Robert Gates, the defense secretary first appointed by George W. Bush, who was less than enthusiastic about going to war. Gates was reluctant to get bogged down in another Arab country, insisting that vital US interests were not at stake, but Clinton nevertheless favored intervention. When Libyan rebels carried out an extrajudicial execution of their country’s former dictator, Clinton’s response was sociopathic: “We came, we saw, he died,” she laughed. at sent a message that the US would look the other way at crimes committed by allies against its official enemies. In a weird bit of rough justice, the political grief Clinton has suffered over the September 11, 2012, attack on a US diplomatic outpost in Benghazi that killed four Americans might never have occurred had Clinton not supported the US intervention in Libya’s civil war. While republicans have focused relentlessly on the terrible deaths of the US diplomats, the larger disaster is the ensuing chaos that left Libya without a functioning government, overrun by feuding warlords and extremist militants. In 2015, the suffering of desperate refugees who flee civil unrest — many of whom drown in the Mediterranean Sea — is a direct consequence of that disastrous operation. Libya was part of a pattern for Clinton. On Afghanistan, she advocated a repeat of the surge in Iraq. When the top US commander in Kabul, General Stanley McChrystal, asked Obama for 40,000 more troops to fight the Taliban in mid-2009, several top officials — including Vice President Joe Biden — objected, insisting that the public had lost patience with a conflict that had already dragged on too long. But Clinton backed McChrystal and wound up favoring even more surge troops than Defense Secretary Gates did. Obama ultimately sent another 30,000 American soldiers to Afghanistan. 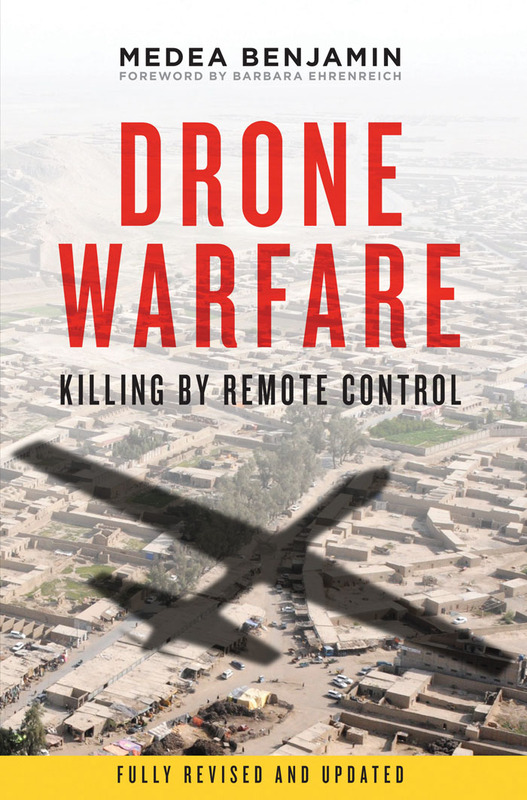 Clinton’s State Department also provided cover for the expansion of the not-so-covert drone wars in Pakistan and Yemen. Clinton’s top legal adviser, Harold Koh, exploited his pregovernment reputation as an advocate for human rights to declare in a 2010 speech that the government had the right not only to detain people without any charges at Guantanamo Bay but also to kill them with unmanned aerial vehicles anywhere in the world. When it came to Syria, Obama’s top diplomat was a forceful advocate for military intervention in that nation’s civil war. When Obama threatened air strikes in 2013 to punish the Assad regime’s use of chemical weapons, Clinton publicly supported him, ignoring polls showing that more than 70 percent of Americans opposed military action. She described the planned US attack on Syria as a “limited strike to uphold a crucial global norm,” although one of the clearest global norms under the UN Charter is that a country should not attack another country except in self-defense. Clinton advocated arming Syrian rebels long before the Obama administration agreed to do so. In 2012, she allied with CIA Director David Petraeus to promote a US-supplied-and-trained proxy army in Syria. As a US Army general, Petraeus spent enormous amounts of money training Iraqi and Afghan soldiers with little success, but that did not deter him and Clinton from seeking a similar project in Syria. Together, they campaigned for more direct and aggressive US support for the rebels, a plan supported by leading republicans like John McCain and Lindsey Graham. But few in the White House agreed, arguing that it would be difficult to appropriately vet fighters and ensure that weapons didn’t fall into the hands of extremists. Clinton was disappointed when Obama rejected the proposal, but a similar plan for the US to “vet and train moderate rebels” at a starting cost of $500 million was later approved. Some of the trained rebels were quickly routed and captured; others, more concerned with toppling Assad than fighting Islamic State in Iraq and Syria (ISIL), defected to the al-Qaeda affiliate al-Nusra. In September 2015, Commander of US Central Command General Lloyd Austin told an incredulous Senate Armed Services Committee that the $500 million effort to train Syrian forces has resulted in a mere four or five fighters actively battling ISIL. Undeterred, Clinton said that as commander-in-chief, she would dramatically escalate the program. In October 2015, Clinton broke with the Obama White House on Syria by calling for the creation of a no-fly zone “to try to stop the carnage on the ground and from the air, to try to provide some way to take stock of what’s happening, to try to stem the ow of refugees,” she said in a TV interview on the campaign trail. While the Obama White House approved limited air strikes against ISIL, it has resisted creating a no-fly zone on the grounds that effective enforcement to prevent Assad’s planes from flying would require large amounts of US resources and could pull the military further into an unpredictable conflict. Clinton’s position is at odds not only with President Obama but also with the position of Bernie Sanders, who, at this writing, is her main rival for the Democratic presidential nomination. Sanders has warned that a unilateral US no-fly zone in Syria could “get us more deeply involved in that horrible civil war and lead to a never-ending US entanglement in that region,” potentially making a complex and dangerous situation in Syria even worse. Clinton did come out in support of President Obama’s nuclear deal with Iran, but even that position comes with a heavy load of bellicose baggage. Back in April 2008 she warned that the US could “totally obliterate” Iran in retaliation for a nuclear attack on Israel — prompting Obama to warn against “language that’s reflective of George Bush.” In 2009, as Secretary of State, she was adamant that the US keep open the option of attacking Iran over never-proven allegations it was seeking the nuclear weapons that Israel already has. She opposed talk of a “containment” policy that would be an alternative to military action should negotiations with Tehran fail. To bolster her tough stance, Clinton suggested deploying additional US forces to the Persian Gulf region and recommended that Congress close any gaps in the existing sanctions to punish Iran for any current or future instances of human rights abuses and support for terror. As secretary of state, Clinton missed opportunity after opportunity to shine as the nation’s top diplomat. In July 2010 she visited the Korean Demilitarized Zone with Defense Secretary Robert Gates to commemorate the sixtieth anniversary of the start of the Korean War. Standing at the site of the most militarized border in the world at a time of great tension between North and South Korea, she could have publicly recognized that the 1953 Armistice Agreement that ended the fighting on the Korean peninsula was supposed to be followed up a few months later by a peace treaty that would move toward reconciliation but that never happened. Clinton could have used this occasion to call for a peace treaty and a process of reconciliation between the two Koreas. Instead she claimed that the US military presence in Korea for decades had led to the current successful result, a statement hard to reconcile with sixty years of continuous hostilities. It was only after Clinton resigned as secretary of state and was replaced by John Kerry that the agency moved away from being merely an appendage of the Pentagon to one that truly sought creative, diplomatic solutions to seemingly intractable conflicts. President Obama’s two signature foreign policy achievements — the Iran deal and the groundbreaking opening with Cuba — came after Clinton left. These historic wins serve to highlight Clinton’s miserable track record in the position. When Clinton announced her second campaign for the presidency, she declared she was entering the race to be the champion for “everyday Americans.” As a lawmaker and diplomat, however, Clinton has long championed military campaigns that have killed scores of “everyday” people abroad. As commander-in-chief, there’s no reason to believe she’d be any less a warhawk than she was as the senator who backed George W. Bush’s war in Iraq, or the Secretary of State who encouraged Barack Obama to escalate the war in Afghanistan.